Home Events Bitcoin Trading: e-bike Business Owner’s Account Shut Down by High Street Banks. 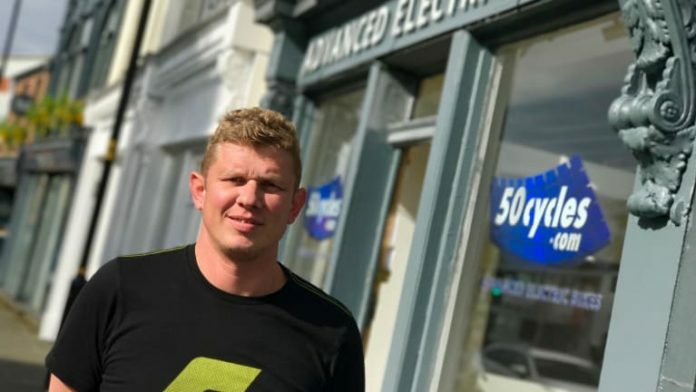 Bitcoin Trading: e-bike Business Owner’s Account Shut Down by High Street Banks. Scott Snaith, the owner of 50cycles – an e-bike company, recently had his bank accounts frozen by two prominent banks in the United Kingdom. Snaith is accusing both banks of discriminatory practices due to his involvement in cryptocurrency trading. The case follows a pattern of similar occurrences in the UK and Ireland. According to iNews, Snaith had two personal and one business account blocked by HSBC and Barclays earlier in August. Snaith is adamant that the account freezing carried out by both banks was due to his cryptocurrency trading activities. This conclusion is based on the fact that his accounts were shut down merely hours after exchanging Bitcoin for fiat money via a registered P2P trading platform. My two personal bank accounts and business account were frozen for using a well-known Bitcoin trading site. No unlawful activity has taken place but just because the word ‘Bitcoin’ was mentioned my accounts were locked instantly. A ‘senior fraud advisor’ then closed my complaint off – leaving me with no choice but to take the issue to the Financial Ombudsman for appeal. After a vociferous complaint from Snaith, HSBC reversed the freeze order, but Barclays refused to do the same. The 50cycles owner says he will no longer bank with Barclays as the situation has even led to him losing a member of staff due to his inability to pay salaries. According to Snaith, UK banks are anti cryptocurrency and are doing their best to frustrate the nascent industry. The UK isn’t the only place with widespread complaints of discriminatory practices by banks against cryptocurrency firms. In June, Bitcoin brokers in Ireland accused local banks of systematically denying them access to banking services. The Bitcoin traders said the situation had forced many of them to either shut down their offices or move to friendlier locations. In countries like India and Iran, their respective central banks have banned local commercial banks from even facilitating cryptocurrency transactions. Since late 2017, governments, as well as financial regulators, have enacted strict measures against alleged malpractices in the burgeoning virtual currency space. What do you about the practice by High Street banks of closing accounts of people involved in cryptocurrency trading when no such prohibitions exist in the UK? Keep the conversation going in the comment section below.